RVS Solicitors provide high quality immigration services to individuals and businesses. In the current political climate, if you are going through an immigration matter, it is important to engage a Solicitor who can adapt to your needs. For those with busy lives, i.e. people in business, high-net-worth individuals and entrepreneurs, there is simply no time to spend creating immigration applications – they are focused on what they do best, running their lives and businesses. If this resonates with you, RVS Solicitors is an ideal fit. When we say we value your time, this is not an empty promise. As a niche specialist law firm, we tailor our approach to the needs of our clients, so if you need more communication and involvement, or if you want to hand over your matter entirely, or somewhere in the middle, we will work to your requirements. When you entrust your visa, ILR, or British Citizenship application to us, you are choosing some of the foremost experts in immigration law in the UK. Head of the Department, Dr Lusine Navasardyan is one of our Directors. She is a specialist in assisting high-net-worth individuals, families, and businesses in relocating to the UK. Our team provides a highly personal service, in contrast to many law firms in London, and will always make you feel comfortable and confident in what we are doing on your behalf. While we are niche, we think big. As such, we embrace technology to streamline our process, and excel at making the most legally watertight and robust case to the Home Office on your behalf. If you need assistance with an immigration matter that has not gone your way, speak to us today. We have assisted many businesses to regain their Tier 2 and 5 Sponsor Licence, and helped individuals reverse negative decisions made against them – something that is increasingly common with the current government’s policy on immigration. A Tier 2 and 5 Sponsor License enables your organisation to recruit staff from outside the European Economic Area (EEA). With Brexit on the horizon, more organisations are looking at this route to bring the necessary skills and expertise into their businesses, to enable continued operations and future growth. RVS Solicitors will secure your sponsor license in the first instance, and help maintain your compliance with immigration rules and guidance. To achieve this, we can manage your Sponsor Management System (SMS) on your behalf and act in the role of Level 1 User, and perform regular mock audits to replicate those carried out by UK Visas and Immigration (UKVI). If your license is revoked or suspended, please contact us immediately. We will act swiftly to have your Sponsor License reinstated, ensuring you can continue to recruit international talent to grow your organisation. In this field, experience and attention to detail will make all the difference between a quick decision in your favour, and an adverse one that can jeopardise your business. By instructing us, you can be confident we will achieve the former on your behalf, saving you time, money and stress. Tier 1 visas are available for entrepreneurs and investors. For those seeking to create a new business entity, or be a director of an existing company, the Tier 1 Entrepreneur Visa may be the best option for you. Having helped many entrepreneurs secure entry to the UK, we understand the nuances that make the difference. Principally we must make sure that you present your plans to start a viable and genuine business. We will guide you through the Genuine Entrepreneur Test process, ensuring you meet the requirements being sought by the caseworker overseeing your application. For those seeking to gain entry by investment, rather than owning a new business venture, the Tier 1 Investor Visa may be appropriate. When you engage our services to obtain a Tier 1 Investor Visa, we will introduce you to investment experts if necessary, ensure your application is completed thoroughly, and your investment is made in accordance with the requirements of UKVI. We will work flexibly with you or your preferred advisor, always respecting your time and objectives. Tier 2 visas provide an opportunity for those from a country outside the EEA to work for a UK business, under four broad categories – General, Intra-Company Transfer, Minister of Religion, and Sportsperson. The team at RVS Solicitors have assisted hundreds of people in securing a Tier 2 visa. Hence we understand the steps to take to achieve a positive result. If you have received an adverse decision from UKVI for a Tier 2 visa, speak to our team today; we will take the time to fully review the facts of your case and your circumstances, and recommend the best possible course of action to obtain your visa. We are highly experienced and successful in turning around decisions in favour of our clients through Administrative Review and/or Judicial Review. If you have been refused a Standard Visitor Visa to come to the UK for leisure, family, to receive medical treatment, take part in a sports event, or attend a business event, or for any other reason, you are not alone. Many people are refused entry due to concerns that their stated intentions may not be genuine – often for less than solid reasons, or due to errors when processing the application. 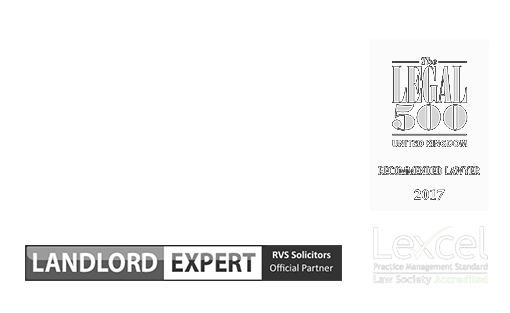 RVS Solicitors will review your case in detail and advise the best course of action, which minimises the cost, time, and stress. Because we are a niche firm, you will be dealing with a senior member of our immigration team. You can be assured we will secure the best result possible, providing you with a close level of service throughout every stage of the process. 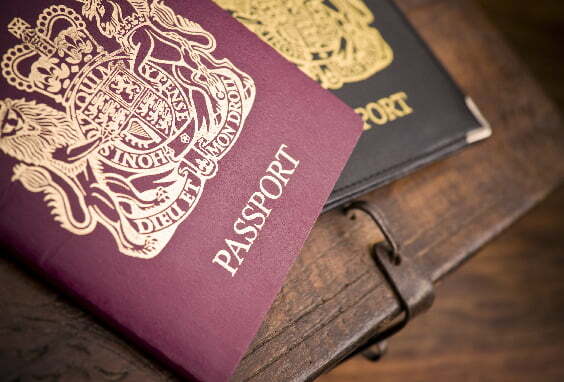 From the moment you engage our services, if your ultimate aim is to secure Indefinite Leave to Remain (ILR) and British Citizenship, every decision we make on your behalf will be to this end. One of the biggest benefits of choosing a small niche law firm such as RVS Solicitors is that we get to know you and your family and we will maintain an ongoing relationship with you as the year’s progress. As such, we make decisions in the short-term, designed to meet your long-term gains. If you have received notification that you are not being granted ILR or Citizenship, we will fight on your behalf to have this decision reversed. Often adverse decisions are made based on the flimsiest of reasons, and even errors – meaning decisions can be quick without complex legal mechanisms being needed, just by explaining the error to UKVI. If this is not successful, we are highly adept at Administrative Review and Judicial Review and will pursue either of these routes if warranted. If you are planning to join a family member already in the UK or wishing to bring a bring a family member into the country, we will secure the necessary visa for you. Whether a Spouse, Civil Partnership, Fiancé, or Unmarried Partner Visas, we understand the immigration law technicalities that lead to a positive result; experience is everything in this area of law. We can advise you on the minimum income regulations, which have recently become more favourable to applicants, and appeals on human rights grounds. Our point of difference is that we truly care. Many of our team have come from other countries to set up lives in the UK, and so understand the emotions underpinning your decision to be with your loved ones. This first-hand experience means we go far beyond other law firms to achieve your goal to reunite your family. Find out more information on our fees here. To find out more about how we can advise you on immigration law matters, please contact our London office on 0203 372 5125 or complete our online form to make an appointment.